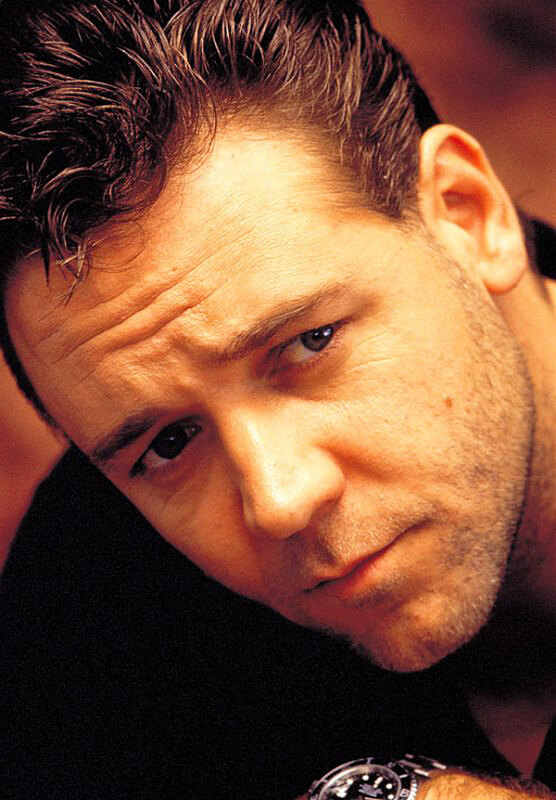 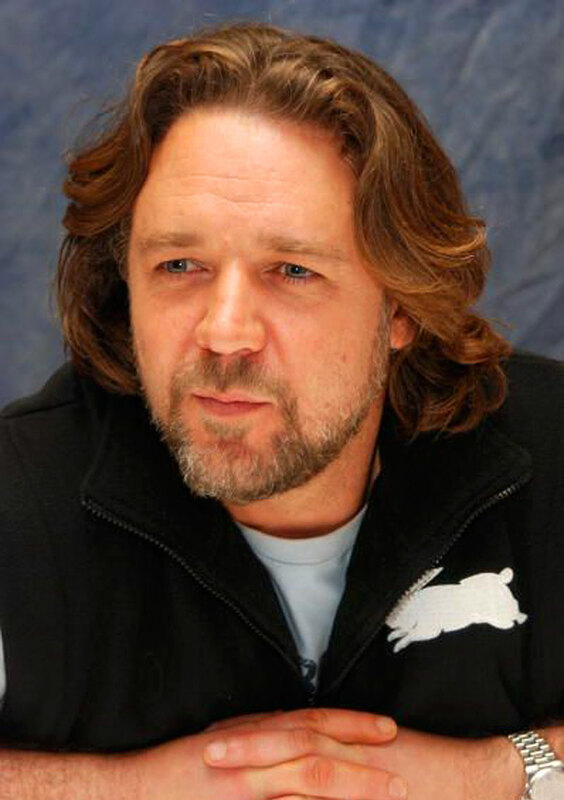 Russell Crowe is probably best known for his Academy Award for Best Actor performance, where he played the starring role in Gladiator. 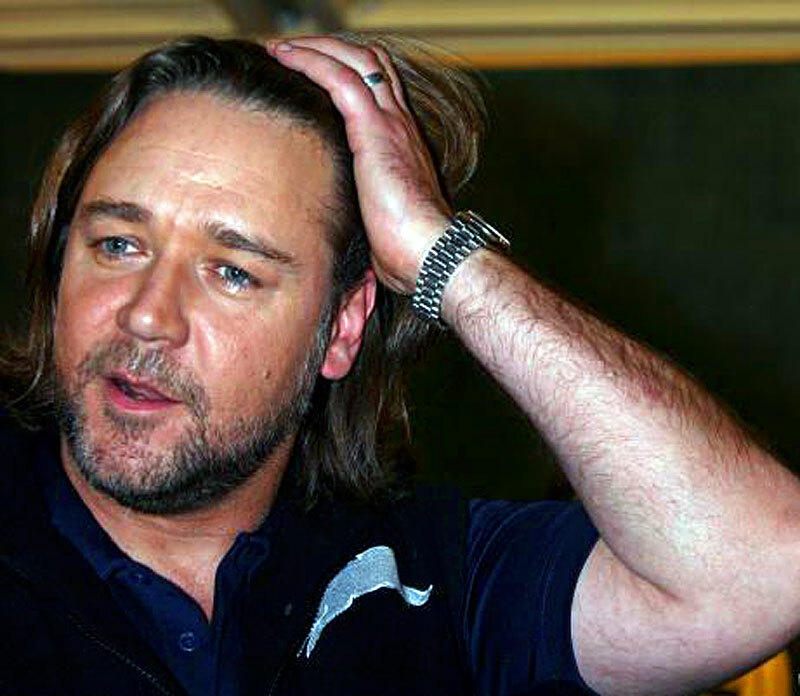 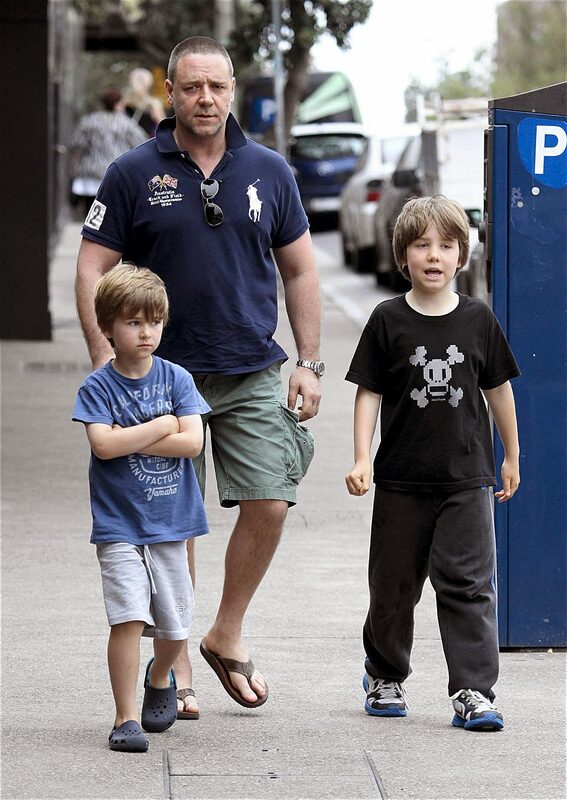 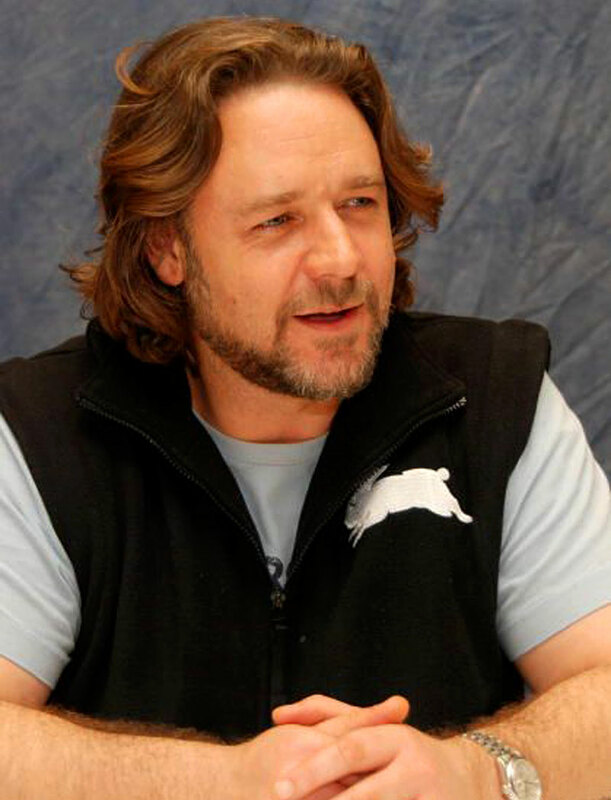 Russell Crowe is pictured below in a recent photos sporting his Rolex Submariner which has a ceramic bezel insert. 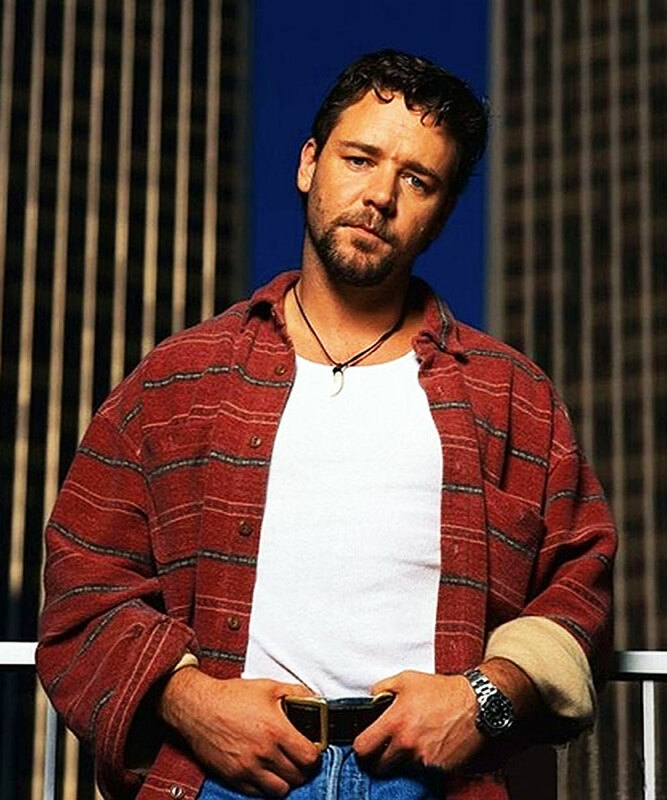 In the photos below, taken decades earlier, we see Russell Crowe wearing a similar Rolex Submariner as pictured above. 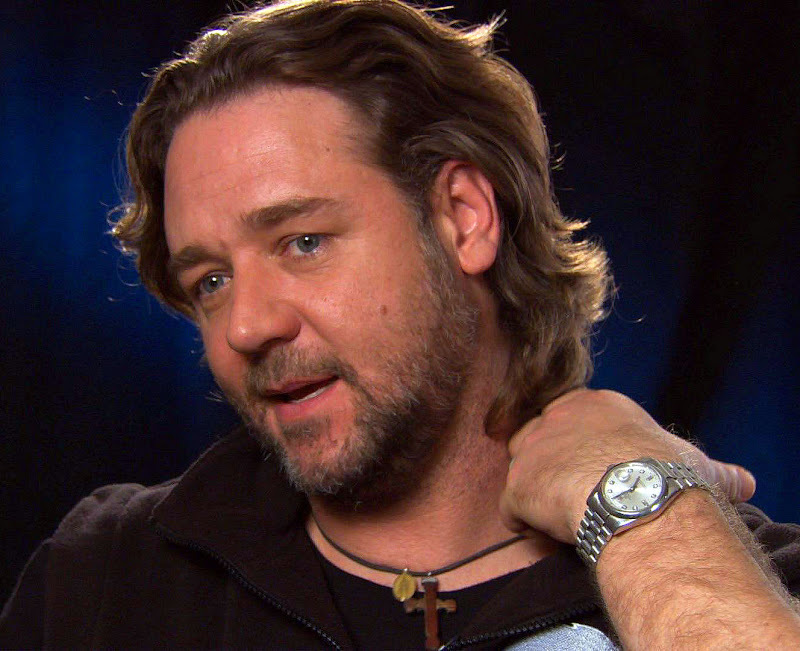 Russell Crow also wears a Platinum Rolex Day-Date as seen in the pictures below. 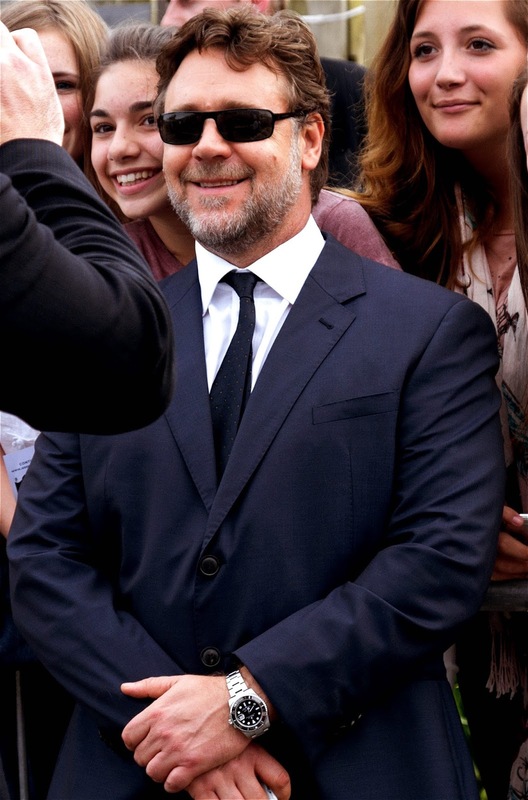 Russell was born in Wellington, New Zealand and has starred in many blockbuster hits including L.A. 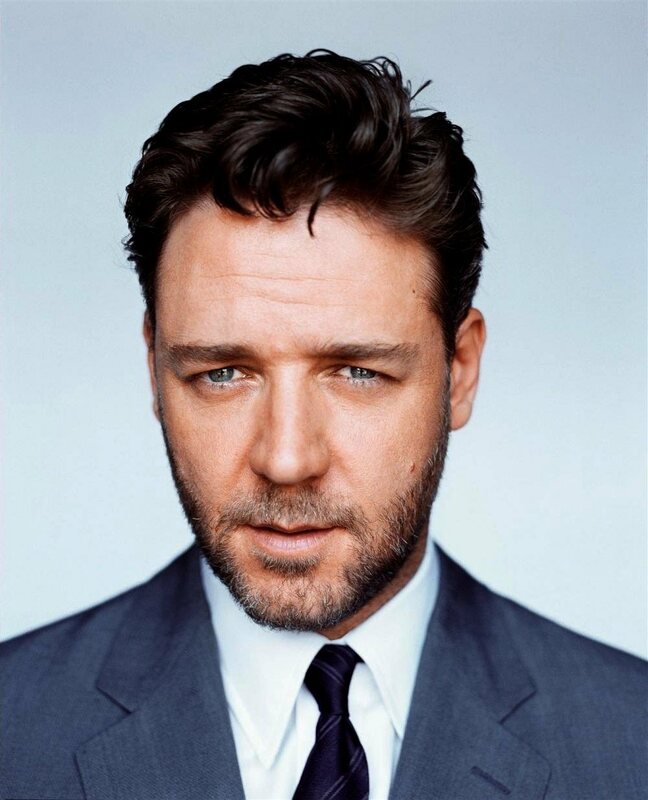 Confidential, Cinderella Man and A Beautiful Mind.